The seventh generation of Civic wasn’t the most striking car to look at but it was massively spacious, good to drive and, above all, reliable. The most obvious thing about the MkVII Civic was that (in hatchback form at any rate) it was tall enough, glassy enough and boxy enough to blur the lines between family hatchback and MPV. And boy did Honda ever put in the effort to maximise interior space within that boxy body. By doing things like making the seats as thin as comfort could allow and mounting the gear lever, Touring Car-style (or Renault 4 style, if you prefer) in the middle of the dashboard, liberated a stunning amount of cabin space. There’s proper stretching room in the back seats and a big 370-litre boot out the back – much bigger than contemporary rivals could manage. It was quite sophisticated under the skin too. It was the last Civic to have proper all-round double-wishbone suspension (more recent models have used a simpler and cheaper torsion bar rear end) and that made it exceptionally poised through corners, with even a hint of lift-off oversteer for the driving enthusiasts. The engine range featured 1.4-, 1.6- and 1.8-litre petrol VTEC engines, all of which are much more powerful than you’d expect (the 1.4 had 90hp or 110hp at a time when 75hp was the norm) and very economical too. 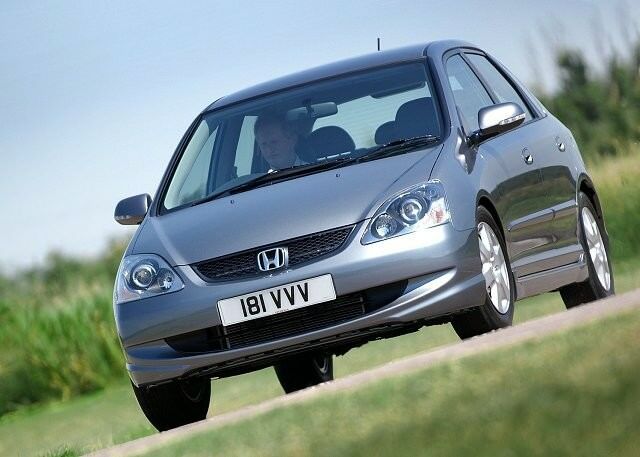 There was a 1.7 CDTi diesel too, but it lacks the class of Honda’s later 2.2- and 1.6-litre i-DTEC diesels. Those seeking maximum economy, especially in town, should track down one of the rare Civic Hybrids, which came in four-door-saloon form only, and which used the same 1.3-litre engine and battery assistance as the later Insight model. Your best bet is a 1.4 though – it's simple, frugal and almost endlessly reliable. There’s no point in shelling out extra cash on a 1.6 or a 1.8 and the 1.7 diesels are just too hard to find these days. The hot 197hp Type-R three-door version is a proper collectors’ item now and prices reflect that fact. Track down a well-looked after 1.4 VTEC in SE or Executive trim so that it has some toys and it’ll do you from now to kingdom come. The Civic that followed, the space-age-looking 2006 model, was probably the better car, but the 2000-2006 Civic remains a high-water-mark for simple practicality and is actually more mechanically sophisticated than what followed. Very, very cheap now so take your time and find a good one.